Spanish police seized over six tonnes of cocaine hidden in a shipment of bananas and arrested 16. 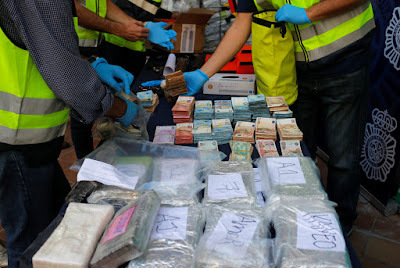 The raid in the port of Malaga also netted 300,000 euros, guns and luxury vehicles. 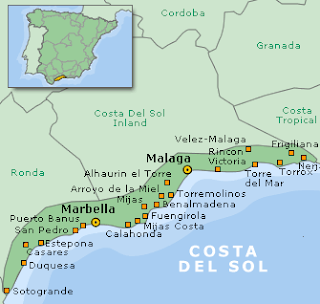 The operation broke up a trafficking ring made up of well-known Dutch criminals based on Spain’s Costa del Sol. The cocaine was hidden in a banana shipment that arrived by boat in Portugal and was then transported by truck to Malaga in southern Spain. 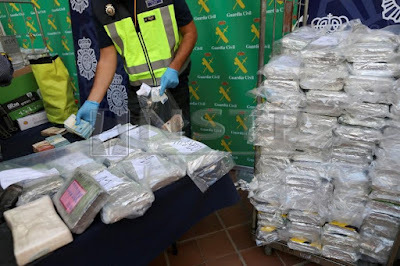 In April, Spanish police made a record seizure of nearly nine tonnes of cocaine in a shipping container that was also carrying bananas in the southern port of Algeciras. 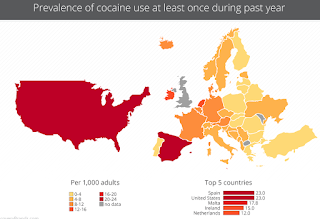 Spain is the main entry point to Europe for cocaine, mostly from Colombia.